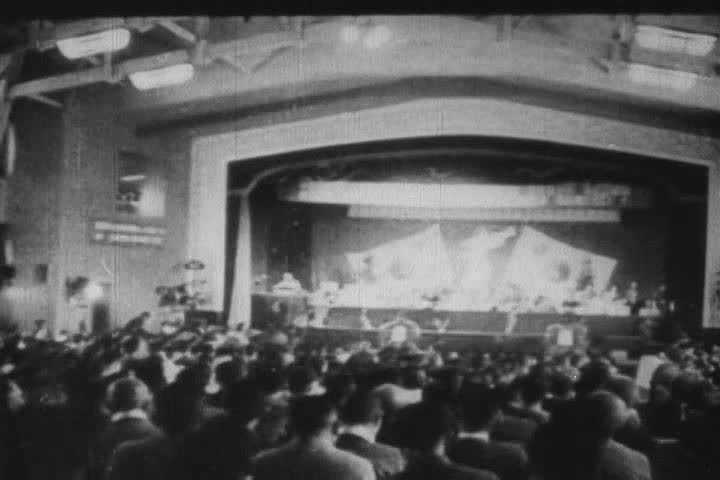 sd01:451940s - Japanese society including newspapers and theater are heavily censored in the 1940s. hd01:31CIRCA 1968\xD1Hubert Humphrey makes a speech accepting the nomination of Vice Presidential candidate at the Democratic National Convention in Chicago. hd01:02CIRCA 1940s - An African American priest presides over a church service to honor black soldiers in World War Two. sd02:411940s - Politicians at a dedication in 1942.
hd00:49CIRCA 1940s - Dutch citizens look at a posted newspaper, a man hammers a Dutch Police sign on a building, and Dutch citizens destroy SS marks. hd00:37ROSENHEIM, GERMANY-SEPTEMBER 30: Annual Herbstfest VIII on September 30, 2008. A top business and cultural center at the foothills of the Alps, the Fall party attracts many thousands each year.